As some of you who read the education literature may have already seen, Pearson recently released their Learning Curves 2014 report. There has not been a huge amount of coverage on it, but what there has been has largely been from people writing about how to integrate the skills spoken about in the report into the standard school system. I thought that it was maybe worth turning our minds briefly towards thinking about these skills in the context of homeschooling. The report outlines 8 skills that it states are necessary skills for students to achieve success in the 21st century. I have discussed elsewhere my views on success (essentially just being happy) so I don’t really want to get into definitional debates here. These skills are clearly intended to create success defined as economic success. Whilst perhaps we can debate at what minimum level economic ‘success’ is attained, I suspect that we can all mostly agree that it is a grim world without at least some level of income and that therefore these skills may be worth a closer look. Besides, looking through them, I would actually be pretty happy to argue that most, if not all, of them are valuable life skills anyway. The eight skills outlined in the report are: Leadership, Digital Literacy, Communication, Emotional Intelligence, Entrepreneurship, Global Citizenship, Problem Solving and Team-working. Looking at these I had no instant argument with any of them – they are a skill-set that when I am hiring staff, I wish that more candidates actually evidenced. What did strike me though, at first look, was that these appear to be pretty hard to achieve in a homeschooling environment, at least for people outside of America and unable to access learning co-ops. Not impossible at all, but things that perhaps require a little extra effort to ensure that they are present in the learning that our children undertake. In thinking about these skills I wanted to achieve a deeper understanding of where they came from and what they meant in this context, so I have spent a couple of weeks going through all of the articles and papers referenced throughout the report. Turns out that there was no one definitive paper from which all eight were drawn, although, for those who may be interested in delving deeper, this paper (A Rich Seam) lists and discusses six of them. Very interestingly, A Rich Seam lists Creativity and Imagination as one of the six critical skills, although it does then go on to define this as entrepreneurship and also the ability to consider and pursue new ideas and to take a leadership role in taking action for change – I guess that each of these got broken out so that we ended up with a neat 8 concepts. The paper goes on to say that deep learning comes from highly engaged students and that this best occurs when students are given the choice over how they will demonstrate, in a real-world task, their mastery of a skill or subject area. Essentially, at least for those of us flirting more at the unschooling end of the spectrum, versus replicating school at home, this is what many of us who are homeschooling are already trying to achieve. So how do we achieve not just the high levels of engagement, but high levels of engagement that practice and build each of the eight areas listed above? Interestingly to me, the answer within schools is that they have been turning to simple technologies like Skype and collaboration tools like Google Docs to enable a wider reach than just the local school community. In other words, even though they are sitting in classes of thirty, they are often going (virtually) outside of their classrooms and engaging with the outside world. Frankly this sounds like something that homeschooled kids should excel at. Most are far more comfortable dealing with adults and the community in general than standard school kids, who largely only deal with kids their age. Unless being taught in very conservative homes, they should also be mastering technological communication and collaboration tools earlier than their peers, as it is often the only available choice when wanting to engage with their peers. Reflecting back, an exercise done by Connor that most reflected all of these skills, was his Minecraft Homeschool course on medieval Europe – Connor wrote posts on his experience in the class here and here and we also wrote about the offline project we had to complete here. From opening in-game shops and deciding what would turn the best profit, through to small and large group collaborations, not to mention the very global nature of participants, I cannot think of a single skill from the list that Connor did not build upon during this class. So, more of these in future for us – although that was on the cards anyway as Connor loved it. But, in the end, it is still a class, however cool and is not the same as something completely self-directed. Inspired by this class and his love of some Youtube channels, Connor started his own channel and this has been an interesting process to watch. Youtube is a sea of videos and getting even a few views can be very challenging. It is a matter of focus and time, as well as serving relevant content. I have seen Connor building on many of the listed skills through this process and also gradually picking up other specific skills like video-editing and presentation skills, but it is not yet a project that is building leadership or collaborative skills and I guess that we should look for ways of building these skills into his current passion. 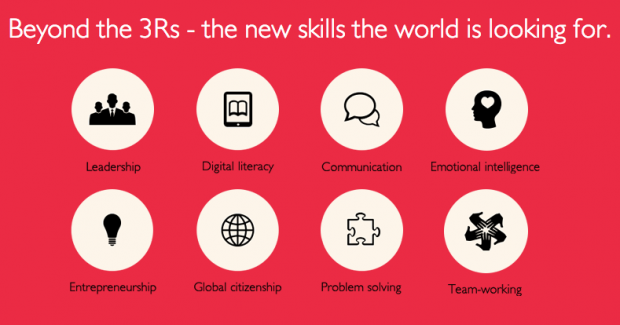 In the end this list of skills for the 21st century is just a list. But it is also something useful to keep at the back of our minds, so that if we see a chance to make a minor-adjustment in a project or task that builds in one or more of these skills, we should take the chance. Every little bit helps. It’s interesting to me that your initial assessment was that those skills are not attainable from homeschooling. Right from the onset of reading the list of skills I can see an unending variety of ways those skills are directly gained in life learning and far away from school. I fact, I struggle to see how they relate to school at all. Your examples of how Connor is achieving these skills are excellent examples, but by no means do they stand alone in the world of natural learning. Completely agree Eliza – I was having a go at myself re my initial reactions. When I got past first reactions and started really thinking about it there are so many more ways that any homeschooled kid can practice these skills – in fact I would think that they do most of these most days without even trying. For example when building a case with me as to why Connor wants to do or study something, I think that he is working on Leadership, Emotional Intelligence and often others. It is not just Connor who needs to get out of the school habits – I obviously still need to also! What an amazing article, David. Much appreciated – the concepts are pretty simple and I feel worthwhile. I feel like I stumbled around a bit in the post though and should probably have broken it into a couple so that I could go into more depth on each area in the first and then have written a second discussing examples in practice. Oh well, live and learn. If I remember I will do a follow up in six months on how we have built in some of these things. I do think that this concept is worth exploring. There will always be a debate on what you say but at the heart of your message are skills that I would love every child to learn. You could do a series discussing each point in detail but I am looking forward to reading the follow up! I just showed Connor’s Youtube channel to my youngest- he’s my minecraft obsessed one 🙂 And I’m checking out the minecraft homeschool link as well. Thanks for all the info! My younger boys (12 and almost 9) are very tech savvy, and while neither my husband nor I share their passion, we respect it and help facilitate it. I appreciate the way you put words to things that I instinctively feel to be true but can’t necessarily articulate. As a long-time homeschooling parent, I’ve been good at sharing the skills that I’m good at and passionate about, and I think they’re still important skills. But when it comes to technology, it’s a whole different experience for them and they are comfortable with it and knowledgeable in ways that I will never be. I don’t really want to be either, but I see the value and importance of it for them. I personally think that homeschoolers are way, way ahead of public schools when it comes to use of technology, and this will only be an advantage for kids who haven’t had to spend years in the system. Although I barely understand what my boys are doing, the level of self-learning is astounding. We help them get the equipment they need, give them the time to use it, and they take it from there. Interestingly enough, my kids still enjoy real-life interaction with others, in addition to the virtual world 🙂 The two are not mutually exclusive, rather I see them as being complementary. Exactly as you have said, it is our jobs just to equip the kids with resources and then to get out of the way of their learning. I also think the fact that that being good at virtual interactions does not preclude you from being good at real-life interaction is a major one. There is a lot of solid research now available that has found that kids who regularly play computer games are better at real-life socialization than those who do not play computer games – counter-intuitive for many people who do not play, obvious to those who do. Like you mentioned being that most of us homeschooling went to school our brains are naturally wired to think school is the only place to learn these things. However if this was true schools would already be pumping children out with these skills. You also mentioned in school children are learning along side of children their own age. I have never held a job where I worked only with people my age, that is not how the “real world” works. When homeschooling , if not for conservative reasons, our children are in the “real world”. There is no separation for them. Thank you – it is a beautiful thing! Being such an advocate of homeschooling, it never ceases to annoy me just how ingrained traditional responses to education issues are for me and how those responses need to be consciously overcome. The whole grouped by age thing is clearly one of the most stupid and purely industrial processing conveniences about school and yet sometimes I still worry about peer-interaction and when I do, that is what I think of. Slowly, but surely, I am working on re-wiring my thinking so that I look at the world of available opportunities, unlimited by thoughts of the traditional system I went through. It is surprisingly tough to lose that traditional schooling mindset. It’s funny how a few comments discussed trying to shake the traditional schooling mindset. This is my first year homeschooling and as a former classroom teacher of 20+ years, I haven’t done much in the way of traditional in the classroom (unless it was forced upon me). As a very relaxed (almost unschooling) homeschool mom now, I haven’t handed my child a traditional workbook page yet and I don’t intend to. I love the idea of the “new skills” direction that education is lumbering towards and grin knowing the best way to get it done would be through a homeschooling approach. Schooling is really fighting against itself these days and I’m really curious (and hopeful) to see how it turns out. Learner-centered, life skills, interest driven. All of these are current educational buzzwords that are the main focus of homeschooling. I suspect that schools could learn a lot, if they opened themselves up to it, by talking to and studying homeschoolers. I am currently contemplating how to approach a major innovator in mainstream education here in Asia to see if I could get an interview with him discussing homeschooling as so much of what he writes about wanting to do in educational reform is what we homeschoolers do already. David, I’d probably approach him asking if you could come observe at his school where he is currently. If you mostly agree with his approach philosophically you could offer to blog or Tweet about his ideas. I know I would be open to putting my child back in school (for financial reasons), but with literally nothing in options that I could stomach, it’s not going to happen. For other families who are looking for full time schooling, but like the idea of homeschooling it could be a godsend. Who knows, you might find yourself helping to get a school started! I know I’d jump at the chance to work with someone who understands the appeal of homeschooling in opening a school based on the same ideas. Thanks for the ideas – you have got me thinking now.